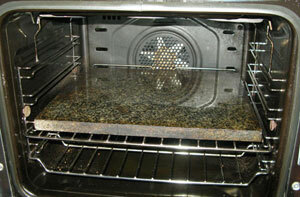 Home » Baking Tips » Stone in a domestic oven, why? Stone in a domestic oven, why? ‘Stones’ are almost indispensable when it comes to home baking, especially bread. Most home bakers have heard this but are not sure exactly why. The complete answer is twofold. Firstly, to produce ‘naked’ bread – baked without a tin – would mean baking on a tray. The dough has the tendency to ‘flow’ and flatten when baked on a tray unless the water in the recipe is reduced. That’s fine for some bread and rolls but for many it’s a reduction in quality since the water content has an influence on the crumb texture and of course the flavour. Only a hot stone can produce the type of bottom crust that has that beautiful mouth feel and flavour we find on bread baked on the oven sole. Baking on a tray doesn’t make the same bottom crust. A stone however, has the effect of deepening the crust which is where many of the flavour compounds are produced by the “Mailard reaction”. 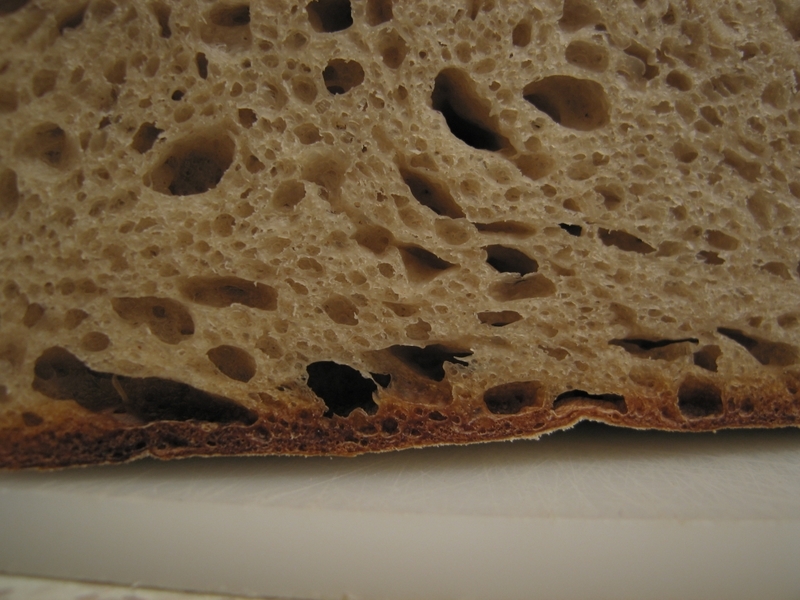 Back to the hot stone; not only is the crust different in flavour and texture when in direct contact with the stone but the efficient conduction of heat through the bottom of the dough has the effect of converting dough water into steam helping to expand the dough assisting with “ovenspring” and opening up the crumb close to the bottom. This steam pressure helps make the sides of the dough lift giving it that pleasing rounded side crust. Of course all this is dependant on several factors like dough maturity and the amount of final proof, but be sure the stone plays a major part in capitalising on those factors. As important as all the above mentioned features are, there is an even more fundamental reason for using a stone in a domestic oven. This brings me to the second part of the answer – ‘thermal mass’. Thermal mass is an inherent feature of brick ovens, or as some have been calling them, “wood fired” ovens. (Not all brick ovens are wood fired but today many people refer to them as wood fired because most associate them with small home ovens) Needless to say a wood fired oven is usually made of earth/clay or some form of brick/masonry. It’s easy to understand why they’ve become so popular in more recent times. There’s something primeval that resonates within us when we cook/bake with flames and wood. I think the act of making our own bread has a similar appeal for similar reasons. 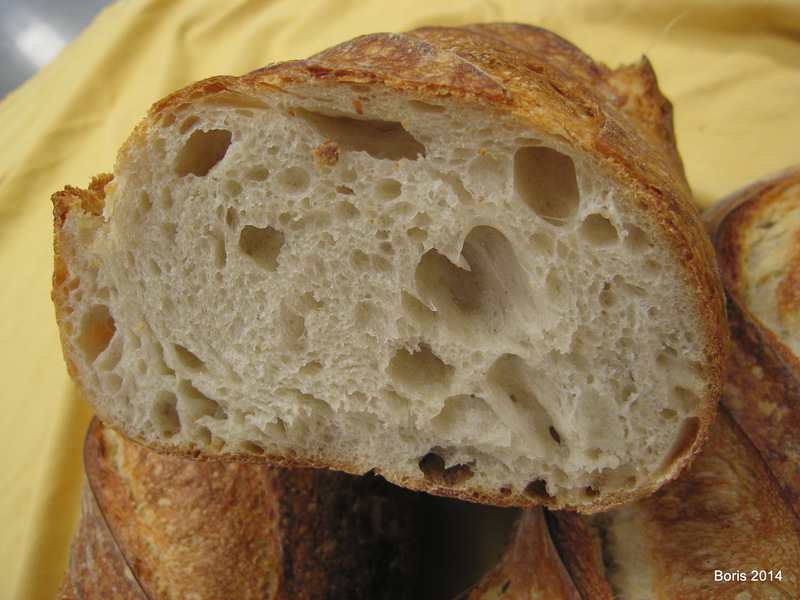 Be that as it may, thermal mass is what domestic ovens lack and to bake good bread requires thermal mass! Picture cranking up the heat on your domestic oven to get it hot enough to bake a cold piece of dough at the right temperature to effect all the necessary changes to that dough. When we open the oven door the hot air rushes out and the cold air rushes into the baking chamber. The cold dough adds to the chill the oven is undergoing. But that’s not all, the oven is set for a much higher temperature but due to the lack of thermal mass the oven struggles to reach the temperature needed to bake the dough. Consequently, the oven elements are on full to bring the temperature up to heat. 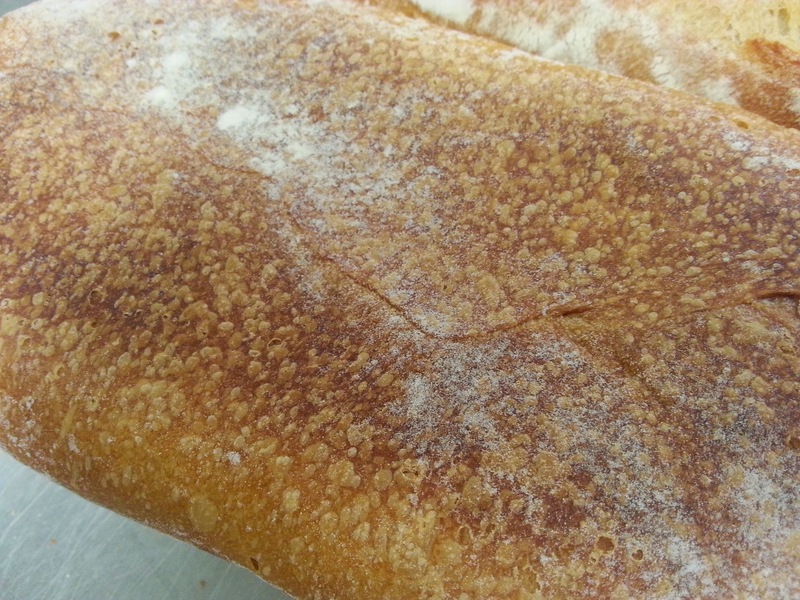 The result is often a ‘flash’ of heat on the dough surface producing a darker crust with the inside under-baked. Well baked bread requires an oven that can maintain ‘solid’ heat for the entire baking time. We use the word ‘solid’ as a metaphor, but it’s a good way to covey what we mean. If the oven has the ability to maintain its temperature, or even bounce back within a few minutes after being loaded with cold dough it possess solid heat. This happens when the heat stored in the thermal mass of the oven can comfortably supply the heat to make up for the heat that the cold dough is absorbing from the oven. This is where the stone is so indispensable in most domestic ovens. The stone has enough mass to store the heat produced by the oven on preheating. This heat storage will bring the baking temperature up to the needed range to maintain solid heat. The same scenario when opening the oven to load it with cold dough. The cold air rushes in, the hot air rushes out and the cold dough absorbs the remaining heat. But there is ample heat stored in the stone to compensate and the baking chamber will be quickly brought to baking temperature. There are several options for a suitable stone. We use a piece of excess granite from a kitchen renovation but certain types of quarry tiles are also suitable. The thicker the stone the better as it will store more heat making the oven more efficient. Bear in mind that the oven will need more time to preheat since the stone will absorb the heat until it reaches the desired temperature. This stone is very dense and reasonably thick. Ample mass will store ample heat to bake 1kg loaves comfortably. A stone will even improve your oven efficiency for other types of baking. There’s no need to remove it for other food cooking. Happy baking… with a stone!